Fixed various issues where monster packs in Fragmented Memories and the Memory Void didn't contain the correct Rare monsters. This also fixes the issue that many players are having where they can't find the Rare monsters required for the "Defeat Synthesis Monsters" challenge. Fixed a bug where defeating The Elder sometimes did not fulfil the 'The Elder' step of the "Defeat Elder and Elder Guardians" challenge. Preloaded further Betrayal assets in an effort to reduce the amount of lag and client "freezes" that occur when Intervention encounters begin. Increased the amount of Intelligence gained at the completion of a Safehouse. 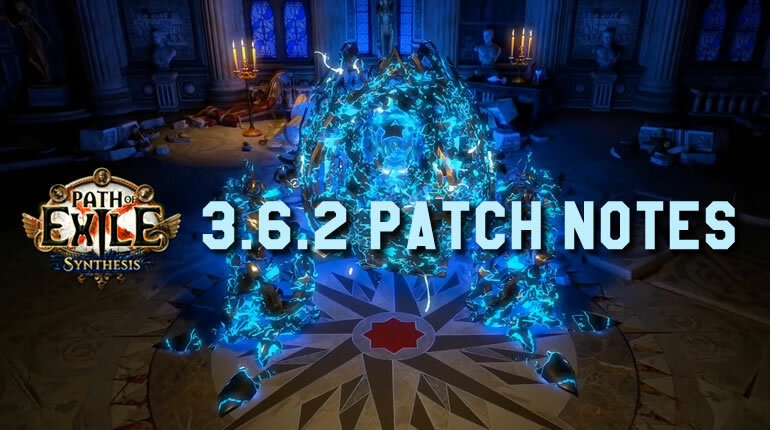 This change affects existing characters with Intelligence towards unlocking the Mastermind's Lair. Updated the "Hideout Unlocked" notification. 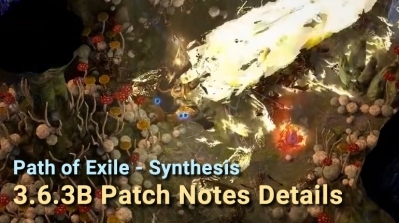 Reduced the value of the "x% increased Maximum total Recovery per second from Energy Shield Leech while affected by Zealotry" modifier found on the Watcher's Eye Unique Jewel from 180% to 30%. This modifier was unintentionally six times higher than intended. This affects all existing versions of this item. Arcane Surge Support can now be used in conjunction with Cast while Channelling Support. 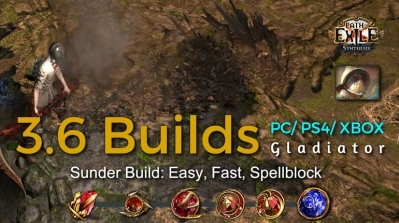 The "Supported Skills deal x% more Spell Damage while you have Arcane Surge" modifier does not apply to Triggered Spells. 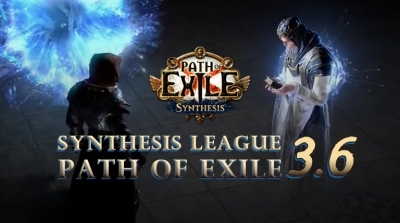 Minion skills can now be supported by Unleash Support. This only applies to the summoning of minions, and does not cause your minions' skills to reoccur. Updated the description of a helmet enchantment which referred to "Sanctify", rather than the correct name, Purifying Flame. Purifying Flame's impact area can now destroy breakable objects (like barrels). Arc's effect now visually hits monsters more centrally. Legacy versions of the "To Dust" unique jewel can now be placed in the Unique Collection Tab. 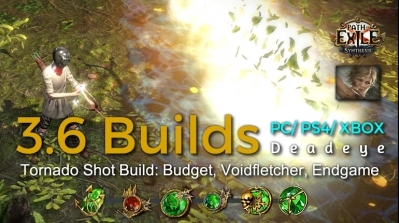 The "Unaffected by Bleeding while affected by Malevolence" modifier found on Watcher's Eye unique jewels now prevents Corrupting Blood from affecting you. 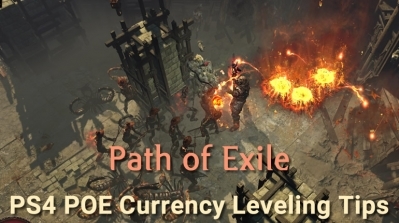 Fixed an incorrect modifier name for "+1 to maximum number of Summoned Totems". Fixed a bug where the "Purifying Flame deals x% increased Damage" helmet enchantments did not work. Fixed a bug where you could lose the "Immunity to Curses" buff granted by Holy Flame Totem if you were standing in a second overlapping source of Consecrated Ground. Ancestral Warchief is a skill that creates a totem which will attack enemies with melee AoE slams while the player stands close to it. Being near it also increases the player's damage. 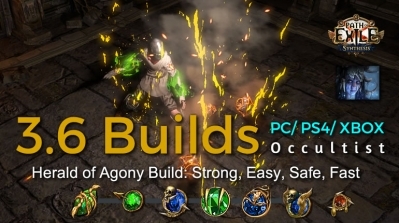 Herald of Agony is a herald skill gem. When activated it reserves mana and grants a buff that gives a chance to inflict poison on enemies, if the enemy is successfully poisoned the character gains Virulence and an Agony Crawler minion. Cyclone is an skill that initiates a spinning series of attacks as the player travels to a target location. 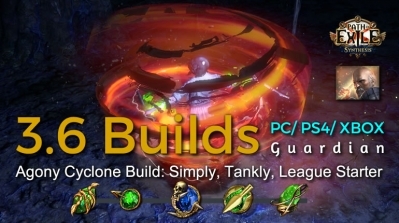 With Cyclone, you attack 6.16 times per second. 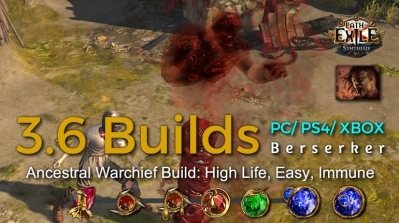 The only somewhat annoying map mod for the build is physical reflect as your relics will one-shot themselves. Sunder is a melee attack creating a wave that travels forward and damages enemies in a straight line. Enemies hit by the wave release circular shock waves that further damage nearby enemies. Requires an axe, mace or staff. Tornado Shot is a ranged attack skill, firing a piercing shot that fires projectiles in all directions when it reaches a targeted location.